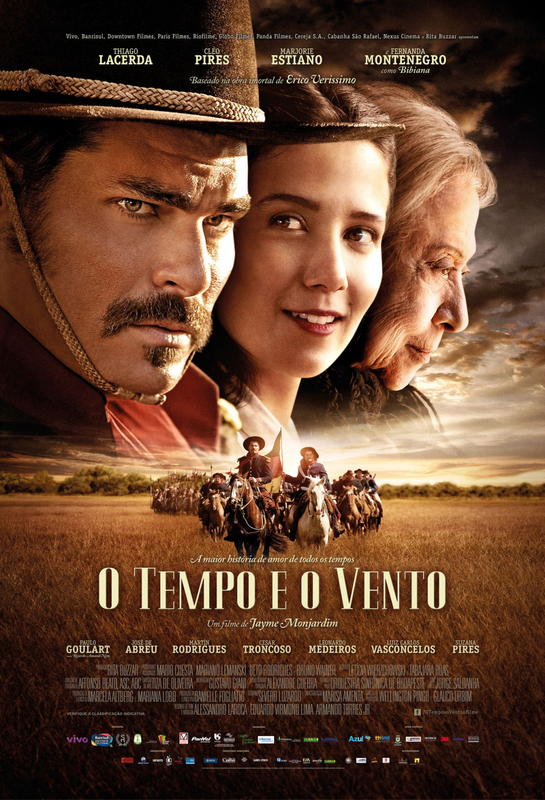 As José Costa (Leonardo Medeiros), a successful ghostwriter, is returning home from an Anonymous Writers’ Conference in Istanbul, a bomb threat forces his plane to make an emergency landing in Budapest. From the minute he sets foot in the city, he falls in love with the Hungarian language, the only language the devil respects. In Rio, he returns to his life with his wife Vanda (Giovanna Antonelli), a famous anchorwoman on a nightly news program, and his son. But he finds his marriage is deteriorating and, increasingly unhappy, he takes to muttering in Hungarian in his sleep. In an attempt to save his marriage, Costa begins to write autobiographies. He tries to appease his dissatisfaction and boredom vicariously. His big bestseller is a book called The Gynographer, which narrates the romantic adventures of German Kaspar Krabbe (Antonie Kamerling) in Brazil, which he considers a vision of paradise. Vanda ends up falling in love with Kaspar because she thinks he is the author of the brilliant book. For the first time, Costa feels cheated and bitter about his profession as a ghostwriter. He decided to return to Budapest and reinvent himself, write himself a new life story. Costa meets Kriska (Gabriella Hármoni), a teacher of Hungarian and a 30-year-old divorcee with a boy, Pisti. With her love and help, José Costa becomes Zsoze Kósta, a ghostwriter in Hungary. Once again he writes masterful theses, short stories and even poems. In a labyrinth of mirrors – two cities, two women, two languages, in the manner of Borges and Gogol – does Costa merely write what he lives or does he live what he writes? Are happiness and love possible or are they just the matter of books, of beautiful songs, of words? BUDAPEST is an adaptation of the book of the same name by Chico Buarque, a bestseller in Brazil, published in over twenty countries. 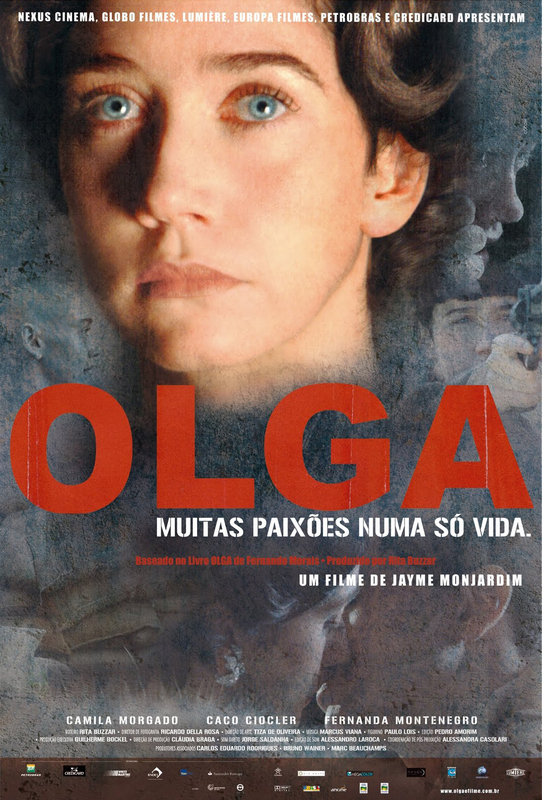 Exile is a recurrent theme in Chico Buarque’s life and work. 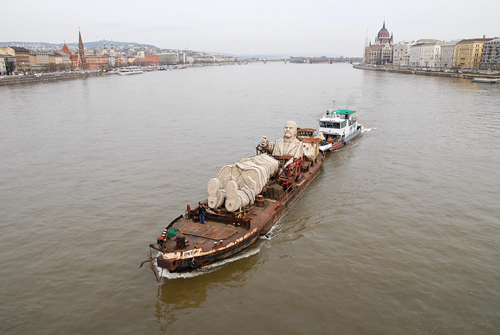 The story of BUDAPEST is also the story of the voluntary and involuntary exiles of the main character, José Costa. The experience of being foreign, both abroad and in one’s own country. 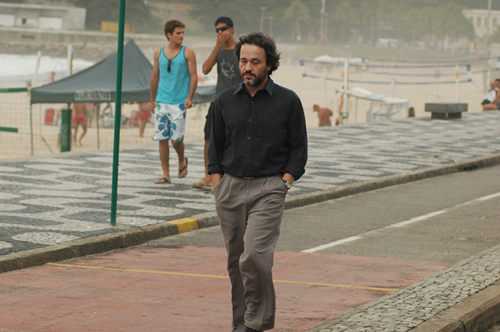 The character José Costa has already been described by many critics as Chico Buarque’s great alter ego. His work allows him to observe and write without exposing himself, something the composer-singer-writer has always wanted for himself. 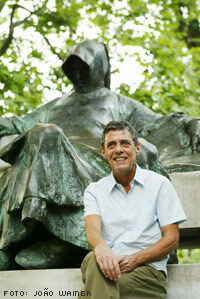 Buarque took 2 years to write BUDAPEST, a game with time and words, with the perfectionism for which his work is known. Within his array of characters and stories, BUDAPEST is a male narrative, quick and sharp-witted. The story of the ghostwriter who lives divided between Budapest and Rio de Janeiro, between Vanda and Kriska, wife and lover, between paradise and damnation, between mirrors. Some critics see José Costa as an ironically tragic character, destined to see his own story constantly retold and rewritten. Every person is actually a point of convergence of many selves, of many possible narratives. Of stories that do or do not unfold. BUDAPEST is about these choices, about parallel stories. About the plurality in each and every one of us. His intense narrative provokes us to think about truth: is it merely a matter of point of view? 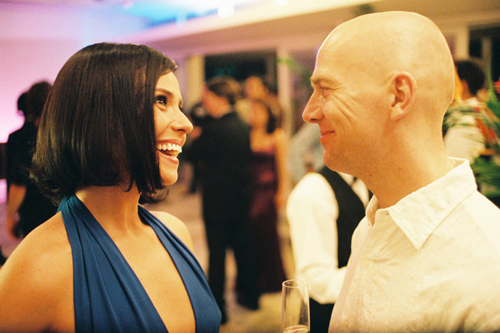 About love: is it a matter of choice? About happiness: is peace possible? The film rights to Budapest were acquired by Nexus Cinema, and producer-screenwriter Rita Buzzar began to adapt it to the screen, as she had done previously with Olga. “The first time I read the book I started at 11pm and finished at 4 in the morning. I then read it many more times, trying to figure out the structure. It was only then that I worked up the courage to make a proposal,” says Rita. It was only a year later that Walter Carvalho was chosen to direct the film.